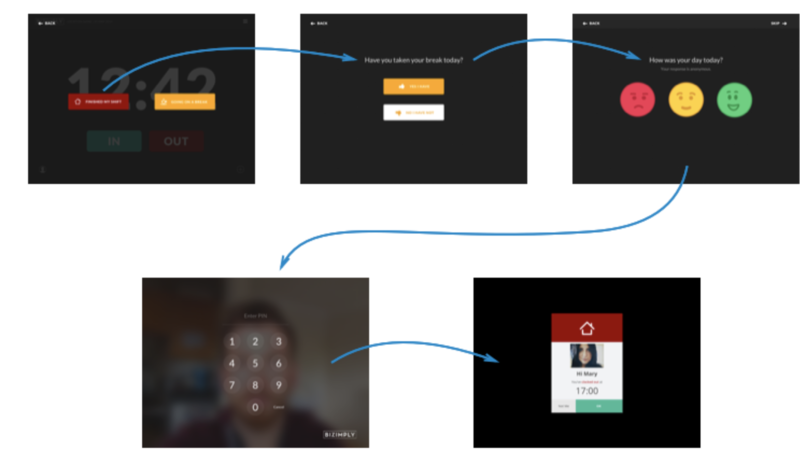 What is the Employee Engagement App and how do I use it? 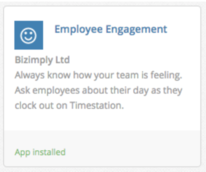 Our Employee Engagement app is a great way to monitor your employee morale. How do I turn Employee Engagement on? The Employee Engagement Survey is turned on in "My Apps", as part of the premium plan. "My Apps" is only available for admins of the account. The survey itself will be turned on/off from the Timestation. Go to the Timestation app. What happens when this is turned on? This means that it is anonymous. The employee can answer or skip in order to clock out. The widget displaying the survey responses will be controlled from the Webapp settings. The engagement widget will appear on both single and multi location dashboards. Dashboard Options > Dashboard Items. Switch the Engagement Survey option 'on'. If each total is more/less or equal to the previous corresponding time period (%). For each time span, you can export a CSV or PDF. These exports can be submitted from the widget on the dashboard and from Reports. Click on the upside arrow on the widget. Choose either Export CSV or Export PDF. Select Reports > Employee Reports > Employee Engagement. Select locations and date range then submit.